90 minutes of yoga, much needed after a busy week and feeling sluggish today. KT started us off with a form of cleansing. We moved our warmed up hands from below our chin, up our face and over our head, like a veil, she said. We put slight pressure on our eyes (eyes closed), massaged the mandible and loosened up the face. Inversions – a parallel with life, when things get turned upside down all of a sudden. 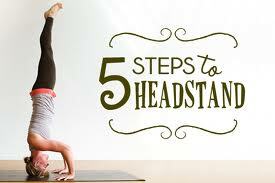 I’d never thought about a headstand that way before. Lots of core, and some flow. Backbends. Music you could dance to, in a ballet kind of way, which I love. A wonderful class. Much needed – did I already say that? Tomorrow: Swimming challenge. And, yes, I’ve been talking about that since day 1.